The desert is calling! 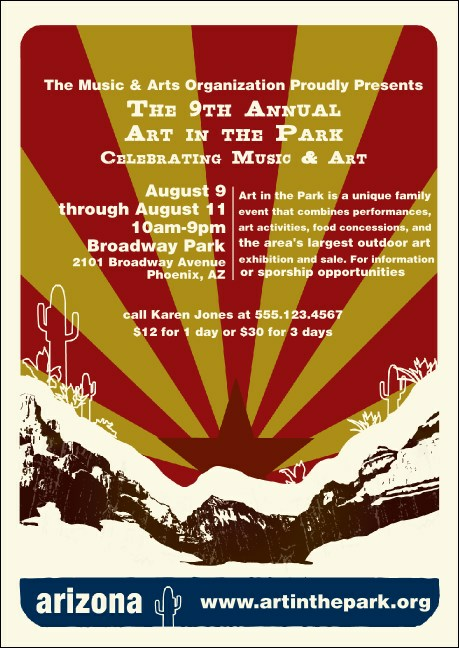 That’s the message the Arizona Postcard Mailer communicates along with your festival details. Cactus, rocks, and a vivid sky in abstract create this postcard’s attention-getting background. It won’t be missed amongst the bills and circulars! Incorporating an effective direct mail campaign into your event marketing plan is easy with TicketPrinting.com!